Reliable, powerful and economical solutions. The powering solutions offered by Moteurs Baudouin have been designed to satisfy all professional navigation requirements. Covering a range from 75 to 1215 kW, the Moteurs Baudouin products are distinguished by their high level of reliability, low maintenance and economical operational costs. 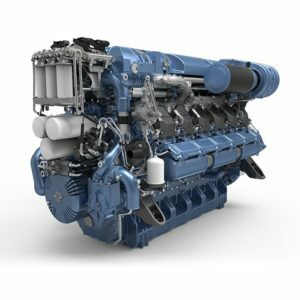 Green power expertise Our range of marine diesel engines rely on well recognised expertise and proofed components for optimal reliability. Our products comply with the latest marine and inland shipping environmental standards. Their simple design are maintenance friendly with optimised service costs advantage.